Say What? 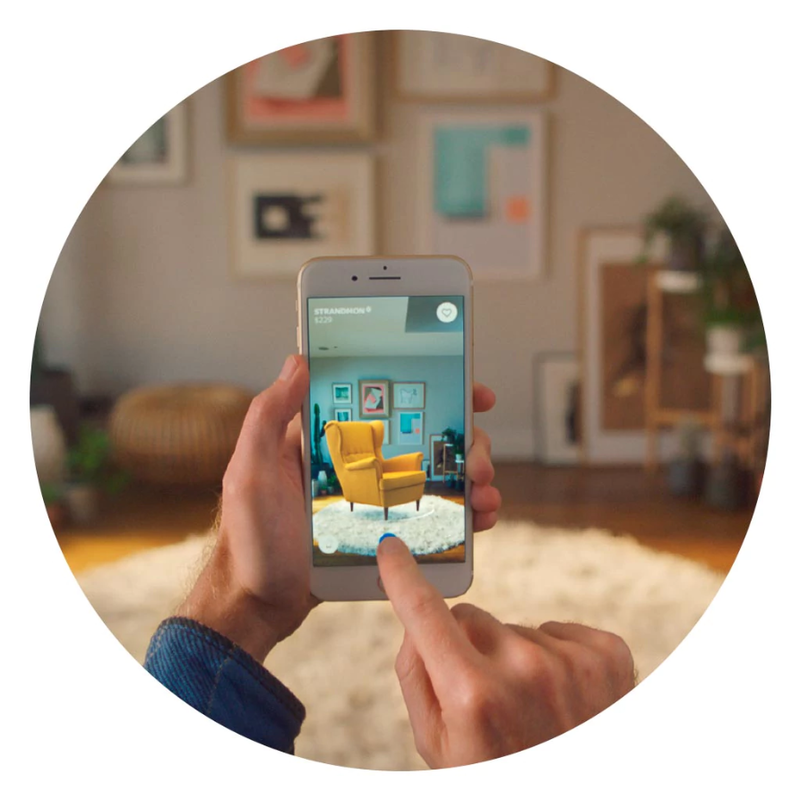 Survey finds that smart home devices struggle the most with Welsh accents! Welsh and Scottish claim to be the most misunderstood when it comes to voice recognition tech! Almost 42% of us change our voice to be recognised. Map shows how regional accents fare with voice recognition. Alexa appears to speak the Queen’s English, while Siri’s accent is a broad transatlantic one, easily understandable by most. But what happens when you’re the one they can’t understand? 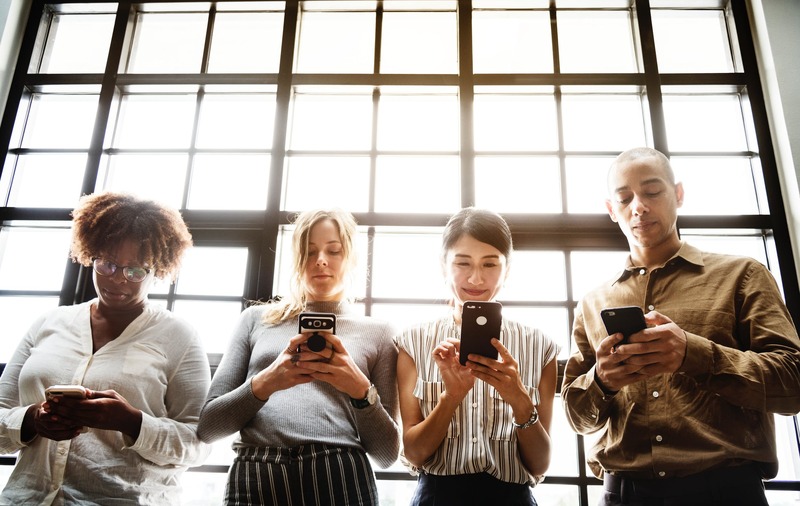 SEO agency Spike Digital surveyed 2,000 Brits to find out how modern voice recognition technology copes with the variety of accents across the UK. Within what is a relatively small country, we have dozens and dozens of accents, dialects and inflections, so that you could visit two towns not far apart (such as Manchester and Liverpool) and hear at least two totally different accents being spoken: Mancunian and Scouse. And if the average Brit finds it complicated to pick up on different accents (e.g. someone from Oxford trying to understand someone from, say, Glasgow), what chance do our poor virtual assistants have?! 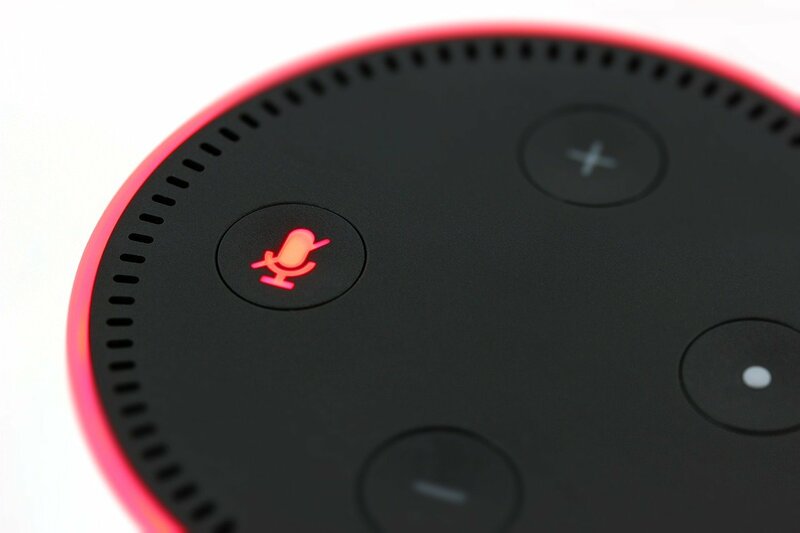 Spike Digital’s survey asked Brits if they had ever used a voice recognition smart home device and found that it did not fully understand what they were saying. And the region which felt that voice recognition tech struggled the most with their dialect (over anyone else in the UK), was Wales; 45.3% of them felt this way. True, there are some words we might not expect to hear (did you know ‘daps’ means trainers, for example? Or that ‘chopsing’ means arguing?) but surely that lovely, musical lilt cannot fail to be understood? Perhaps surprisingly, it’s those softly-spoken North Easterners who claimed to have the least trouble with voice recognition technology; only just over a quarter (26.1%) felt they weren’t being understood. That’s canny, pet! To find out how different accents fare with voice recognition, check out our infographic map above. As a result of all this, it’s perhaps to be expected that just over two thirds of us (67.3%) feel that voice recognition devices should be adapted to recognise, or distinguish between, regional accents. Until then, however, we just have to be patient; 41.7% of us slow down our speech when talking to our device, and even change our accent! 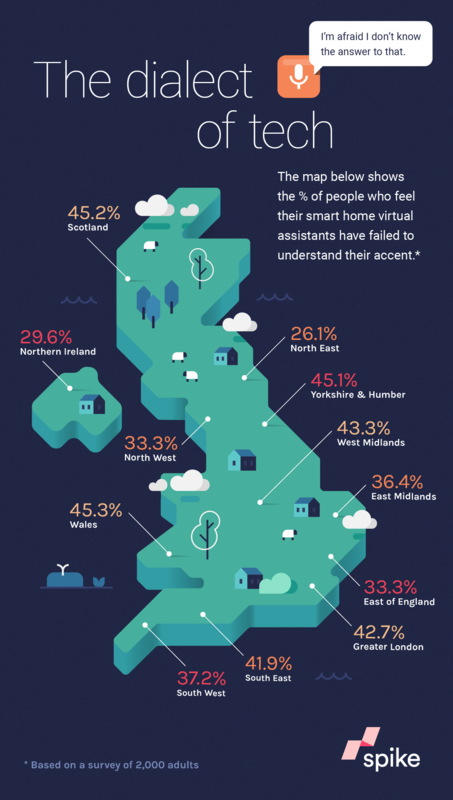 According to Brits, the most frustrating aspect of smart home assistants is that they don’t understand our accents (45%). This was followed by it taking commands and ordering things from the TV (20%), the ‘Sorry I don’t know that’ excuse (15%), the idea that we have to learn to speak ‘her’ language (10%) and that the device will start playing music randomly (10%). Creepily, users have also reported Amazon’s Alexa laughing randomly, too, though Amazon has explained this is because very rarely, Alexa thinks it hears the phrase, ‘Alexa, laugh’… Perhaps all of this accent confusion has rubbed some Brits up with wrong way so much that over a third (35.8%) admit the novelty of it all has worn off!